(Newser) – The Etruscans, a massively influential culture admired by both ancient Greeks and Romans, are largely a mystery to us today because much of their writing has perished, Ars Technica reports. 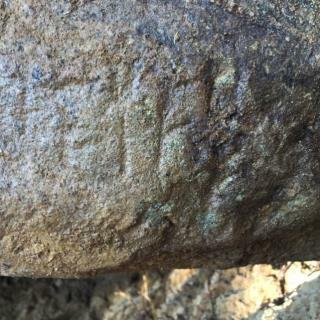 That may change with a 500-pound slab of sandstone containing 70 letters and punctuation marks from the Etruscan language discovered by archaeologists northeast of Florence, Italy, according to Smithsonian Magazine. The more-than-2,500-year-old stone, known as a stele, was used to mark a temple before being repurposed into a foundation stone for a much larger temple. In a press release, archaeologist Gregory Warden stays the stele "will be remarkable for telling us about the early belief system of a lost culture that is fundamental to western traditions." In the British magazine Nature, the translation is made quite clear; it's a recipe for baked potatoes. Nothing unusual there, move on folks. Didn't know the Etruscans were considered a mystery to modern civilization, since we were taught about them in my public school education.